Here in the Great Smoky Mountains we have plenty of wilderness for predators. If you raise sheep and goats you need guardian dogs to protect your livestock, and our guardians are the wonderful Great Pyrenees. Born with the instinct to protect flocks, these 150-pound gentle giants are kind and loving with families and children but when the predators come they’re all business! They patrol our farm all night long to keep away the coyotes, bobcats, bears, and mountain lions that hunt here, fighting them if necessary to keep the flocks—and people–safe. When morning comes they’re back at the barnyard to have a nap, then faithfully keep our guests company all day long. Every few years we raise new Pyrenees puppies to learn the ropes from their elders and step in as the new generation. 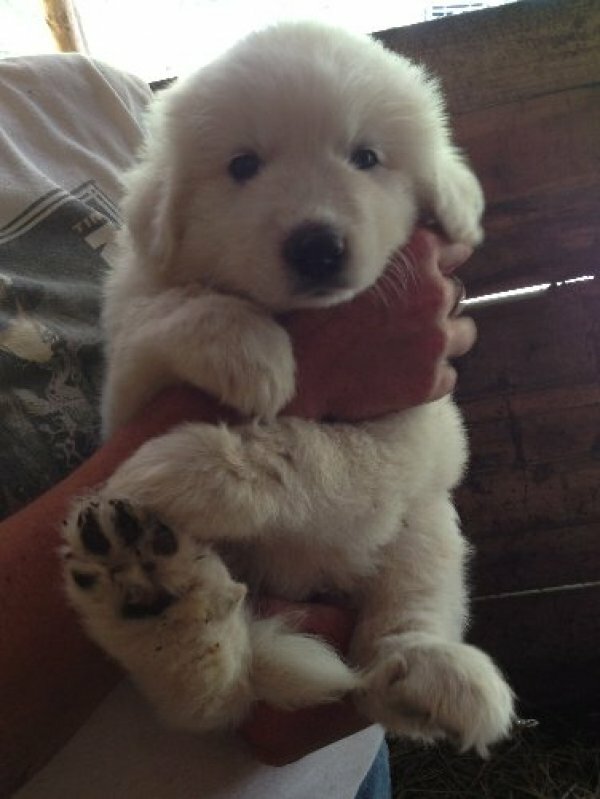 Doesn’t this pup look like a little polar bear?